The funny proof: not all oldies are fossils! 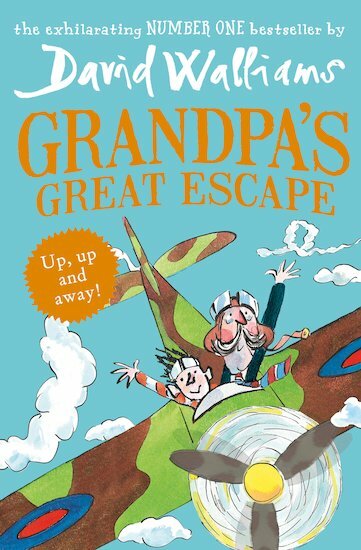 Jack’s rebel grandpa and his Spitfire antics will make your heart do loop the loops. (And bring a joyous little tear to your eye.) Jack’s grandpa wears his slippers to the supermarket. He serves up tinned tongue for dinner. He often forgets Jack’s name. But he hasn’t forgotten how to fly a Spitfire. And if you were trapped in an old folks’ home, wouldn’t you plan a Great Escape? I liked this book 📚 because it’s so ,so so funny 😆!!!!!!!!!! !